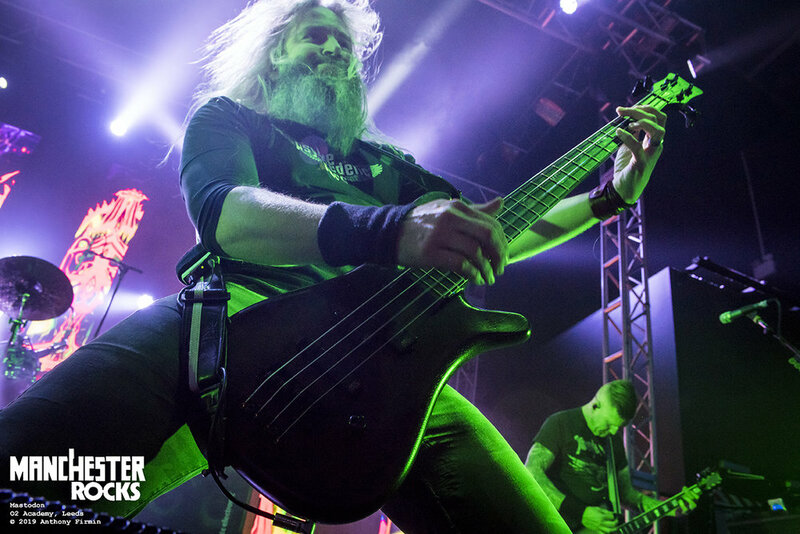 As storm clouds gathered above the O2 Academy in Leeds, inside progressive sludge pioneers Mastodon delivered a bruising, career spanning setlist that perfectly encapsulated the band's trinity of musical adventurism, mysterious melodies and good old aggressive heavy metal. Across 20 songs, starting with an unrelenting, triple thunder strike of Iron Tusk, March of The Fire Ants and Mother Puncher to the seven songs they concluded their set with alongside longstanding collaborator Scott Kelly, this was a masterclass from a band getting better with age. 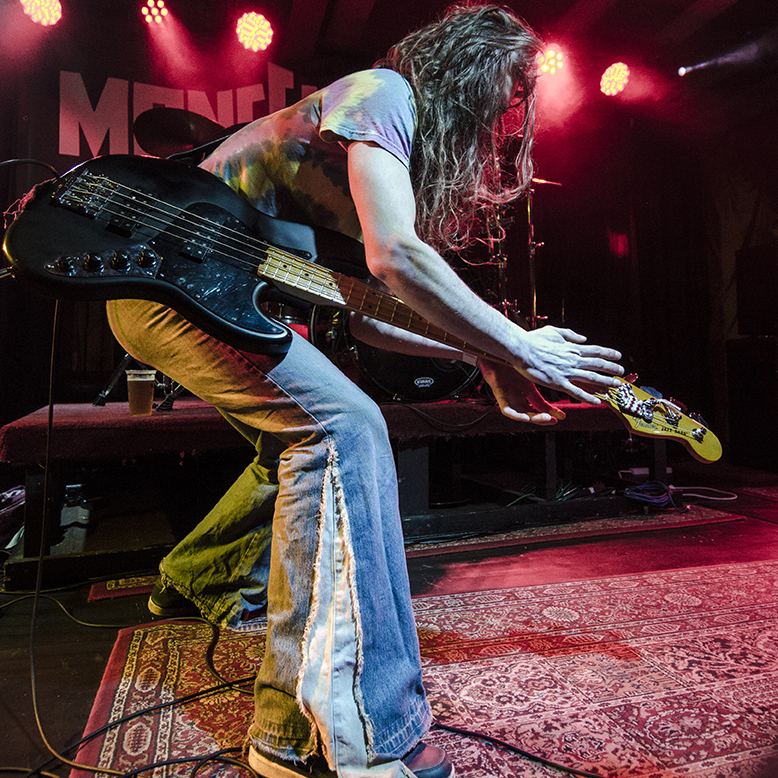 Power trio Mutoid Man, unfortunately without their usual drum monster Ben Kollar who is sidelined with an elbow injury, delivered a short, fast and fun set full of gritty grooves and agile vocal hooks. 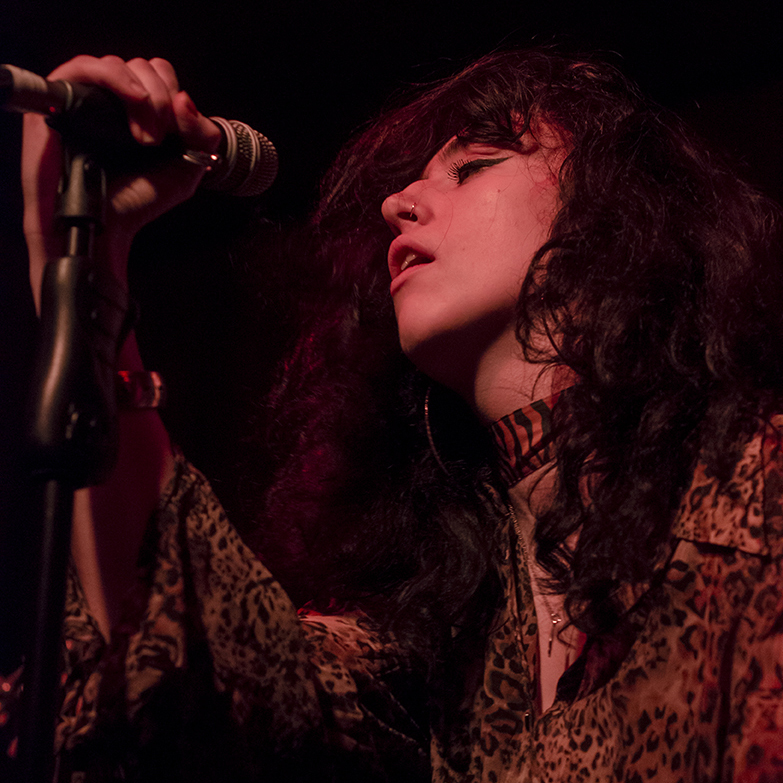 Bone Chain’s low tuning and adrenalized pace rattled the early arrivals and whilst many still snaked round the venue, queuing in the cold, the smiling ferocity of 1000 Mile Stare and the hip swinging Date With The Devil did everything in their power to warm up the crowd before them. Norwegian sextet Kvelertak, even with their frontman consigned to crutches, produced an energised performance which married extreme metal elements with harmony lavished classic rock textures. Gravelly and shrieked vocals juxtaposed smooth, bluesy guitar lines their three pronged attack issued, but it was a bittersweet combination that worked wonders. There was a depthy musicality which illuminated their typically Norwegian metal sound. On Bruane Benn abrasiveness and aural intricacy united, while 1985 was as melodic as it was driving, with a glorious Saxon meets Thin Lizzy twang to it. Although arriving on our shores with news of new music being released “very soon”, Mastodon don’t have a specific agenda for this tour and as a result the freedom with which they were able to create their setlist saw the Georgian four piece show no quarter. That rapturous opening salvo of tracks, flawlessly intertwined into one distinct, non-stop pummelling was a frightening foreshadowing taste of what was to come. Brent Hinds, an often unhinged persona on stage, tonight sung emphatically on the deeply personal Toe To Toe, his gorgeous ornamentation resonating the tracks emotive weight, whilst elsewhere his fingers were a blur across his fretboard as he unravelled snaking riffs and luscious leads, Crystal Skull a bonafide highlight. The guitarist has been guilty of onstage tantrums and rough around the edges performances in the past but tonight his head was unquestionably in the game and what a difference it made. Elsewhere, Chimes At Midnight brought the first real big chorus, whilst Steambreather, carrying on very much in the same vein, rumbled like the belly of a hungry beast, Brann Dailor leading the vocal foray expertly. 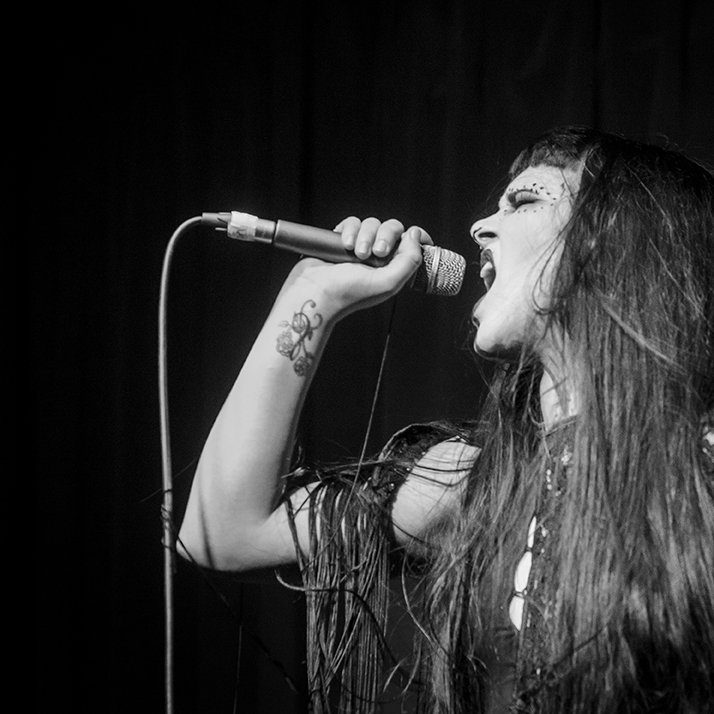 Ghost Of Karelia’s progressive twists and turns and cosmic chorus then lit up then venue before Capillarian Crest, from 2006’s Blood Mountain record was nothing short of rocket fuelled insanity. Then came an event the band have been desperate to bring to the UK for years, with Neurosis vocalist Scott Kelly, who sings on a track on each Mastodon record since Leviathan, joining the band on stage for a romp through their collaborative material. 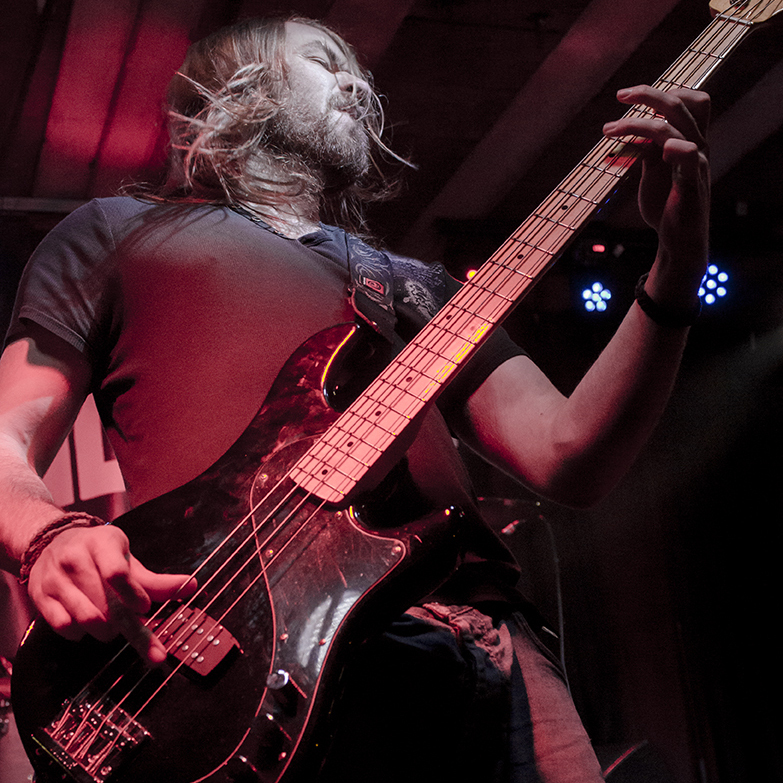 Whilst his contributions are excellent, he doesn’t exactly add anything new to their sound, growling and bellowing in a register not too far removed from that of bassist Troy Sanders. What is clear however, is that the songs he has performed on over the years have all been impeccable. Aqua Dementia is a cyclone of bedazzling guitars, jagged rhythms and humongous aggression, Spectrelight is joyously destructive and Crack The Skye sounds celestial, vulnerable and vigorous all at the same time. A crowd-pleasing stampede through Blood and Thunder ends the evening in the only way Mastodon know how to. If this set shows where the bands’ mindset is right now, then their new material will be something to savour. Expect heavy, expect crazy, expect Mastodon.